Rabbit Stew: What's for Dinner? Just then I noticed an unusual book on the shelf in front of me. 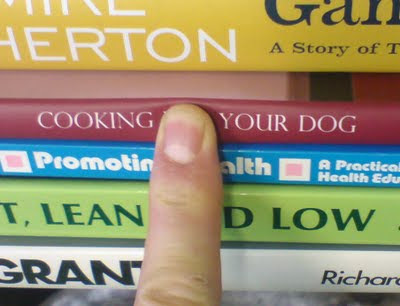 Cooking Your Dog and Promoting Health. Practical reading for well being.